AUGUSTA, Maine — After a five-year break, the Maine Department of Health and Human Services plans once again to require childless adults to work in order to receive help through the federal Supplemental Nutrition Assistance Program, formerly known as food stamps. That already is a requirement of SNAP, but since 2009, Maine has applied for and received a waiver from the federal government because of its high unemployment rate. Maine’s unemployment rate has dropped from a high of 9.7 percent in February 2010 to 5.5 percent last month. Recipients will be required to work at least 20 hours a week or volunteer for a community agency for a certain number of hours, depending on the value of their benefit. They may also participate in approved job-training programs, including the Maine Department of Labor’s Competitive Skills Scholarship Program. Recipients who don’t meet the requirement will lose their benefit after three months. About 231,000 Mainers receive a total of $330 million in SNAP benefits. According to DHHS Commissioner Mary Mayhew, nearly 15,000 of those recipients — about 6 percent — are considered “Able-Bodied Adults without Dependents” by federal rules. Of those, 12,000 do not meet the work requirement. Those 12,000 people receive about $15 million a year in benefits, a little over $100 a month each. 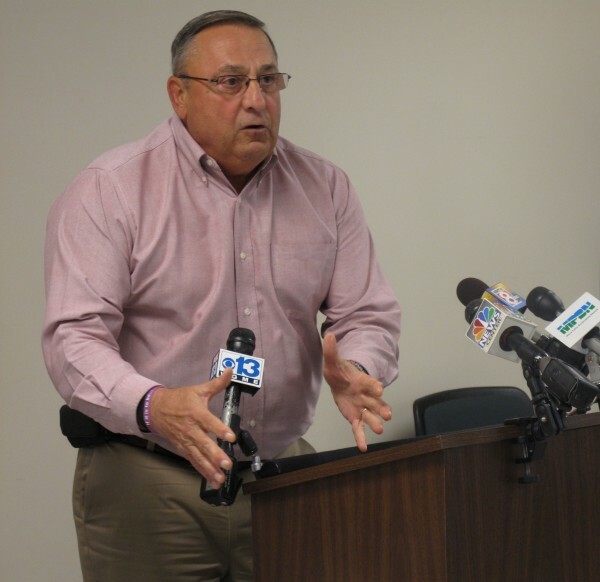 Mayhew said the LePage administration decided it would no longer waive the work requirement because the state’s economy and unemployment rate have improved and because departments are working together on job training for welfare recipients. One such collaboration led to a pilot program between the DHHS Office for Family Independence and the Maine Department of Labor to provide employment and training for SNAP recipients in Augusta and Machias. Mayhew said the yearlong effort has not been successful, in part because it was voluntary. That training program will be expanded to include Augusta, Bangor, Lewiston and Portland in October, just as SNAP recipients will be required to work, train or volunteer. The conservative Maine Heritage Policy Center applauded the department’s announcement Wednesday. However, liberal advocates for the poor say this is the wrong time to make work a requirement for food. He noted that labor statistics show 20,000 Mainers have been unemployed for 15 weeks or more, up from 9,100 long-term unemployed before the recession. And 42,000 Mainers are working part time but want full-time jobs, up from 21,400 before the recession. Requiring work in exchange for SNAP “is the wrong approach at the wrong time,” Martin said. She pointed to the fact that Maine’s unemployment rate, while lower than its peak in 2010, is still higher than pre-recession, when it hovered in the 4 percent range. She also took issue with DHHS’ assertion that the change will affect only 15,000 people. Based on a 2011 SNAP report, she believes about 25,000 people fit the “Able-Bodied Adults” category. Mayhew said there would be list of exemptions to the rule, which will drop the number of people affected. Woloson would like to see Maine waive the work requirement a while longer, particularly because SNAP recipients are still required to look for jobs. And if not a statewide waiver, she would like to see county-specific waivers for people who live in parts of the state with high unemployment rates. Mayhew said she spoke with the governor about a county-specific waiver and the plan is to make the SNAP requirement statewide. “People should not lose sight of the volunteer part of this equation that can fulfill this requirement,” she said. The change must go through the rule-making-and-public-hearing process. It is scheduled to go into effect Oct. 1. DHHS plans to notify affected recipients in the coming weeks.